Nothing really turned out the way I’d planned. My oven-baked sweet potato fries in the special sauce turned out gray for some reason; my Aunt Emma’s new puppy relieved himself to the tune of a half gallon on my kitchen floor; and my youngest son wasn’t here on Christmas for the first time in his or my life. 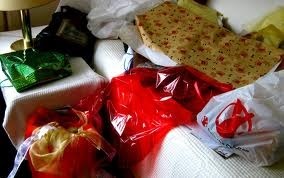 Yet, as I sit here in the midst of the detritus of Christmas 2013, Perry Como is singing “Let it Snow” in the background. 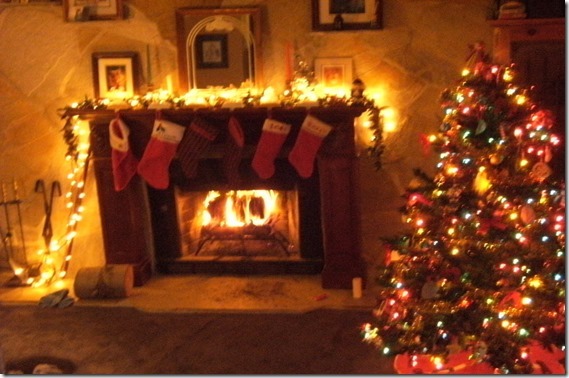 I feel that old excitement that always occurs at Christmastime and takes me clear into the New Year. There’s that sacred feeling on Christmas Eve just before drifting away, with visions of sugar plums dancing in your head (although in all my life no one ever gave me a sugar plum). There’s reading the Christmas story again, the real one…from Luke 2. There’s the feint feeling of nostalgia for Christmases past when grandparents and parents were still here and our children were still children. How can one day mean so much and yet get away from us so fast? We always want our Christmases to be perfect, but we don’t live in a perfect world and sometimes we just have to dig deep into the pile of torn wrappings and frayed ribbon and accept what is. We tell ourselves that tomorrow we will be more compassionate, loving and joyful. Christmas is what gives us hope that anything is possible. Merry Christmas to all. And to all a good night. Uh, oh. I forgot to mention that my son, Braddock, gave me the latest technologically superior coffee maker ever produced. It doesn’t “drip” coffee but “showers” it and looks super cool in my kitchen with a carafe that I can proudly take to the table. I’ve been testing it out and may not sleep for a couple of days. He also gave me a home security system so I can’t sneak out without the whole neighborhood knowing. But at my age, who cares. Ring a ding ding. 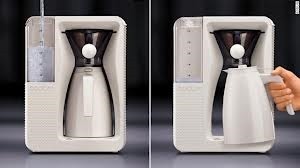 Cool coffee maker! I was the opposite this year, no wonder, I want to find that and bring it out. I think I must have packed wonderment in a box and put it the attic. I am glad you had some at your house. Sorry about you son being absent. That is hard. Our kids are here and everywhere. We talk on the phone constantly, but we don’t always see them on the actual holiday. My dil has mother and stepfather, and father and stepmother. She has a daughter from her first, brief marriage that we adore. And they have a son who is 16 mos old. He sets the departure time. After they make the rounds, he is tired and it is all over. We see them before and after. It all works out. She is so organized, and she loves my son so much.they make a cute family. We are blessed. Middle daughter is divorced, 2 children, oldest daughter married, lives in Fl, 2 grown children. People just show, and go. Somehow it all works. Throw in my mil who is 87, and there you go. Never a dull moment. See Norma 2? That sounds wonderful to me. I have a very small family and missing one this year was really noticed. But, we will do it all again next week so Christmas decorations will stay glowing brightly until Jan 3 and the Christmas music is playing non-stop. I love this holiday so much – kind of nice to draw it out. We have a funny family. First 5 minutes we look like a Norman Rockwell painting. We pass the food, everyone is busy. Oldest daughter, husband and their two beautiful daughters are hunters. They eat what they kill. I don’t eat game,wild hogs, deer, venison, squirel, chipmunks, rabbit, etc. I do eat fish and seafood, poultry and rarely beef and pork. I only eat ground beef in I personally grind it and know what goes in. I love all veggies. Middle daughter is a vegetarian. She doesn’t like many veggies, she eats a lot of pasta, occasionally seafood or chicken.no beef or pork. Our son the athlete, is a coach and maintains a 4% body fat. He has a great body and works hard at being fit. He eas lean steak, chicken, pork chops, no seafood, or fish. Limited veggies. He passes on desserts. I don’t have any idea where that ability came from. The first topic is whether animals who are hunted die humane death. Our older almost screams that their family KILLS humanely.hmmmm. Then we go to football. Hubby,son and I are for Bama. Son was for Notre Dame until he actually enrolled in Bama. That was a real strain, lol.middle daughter attended Auburn, yep that true. Oldest daughter and her husband are for Florida, yep. Other daughter is for Fl St. She graduates next semester and is headed for medical school at Fl. Yep a double whammy. Several people will have to leave the table, house, and walk. Then they return and the topic turns to religion, and politics. Then I have to leave the table, house and walk. I do not know how they grew up in the same house without someone vanishing. I do know how they are so different, one was borm in 1968, one in 1973, and our son in 1980. Three different generations, don and I were different parents, the world changed greatly. Except they all tan easily, you wouldn’t really think they were related. They are too funny. It is our granddaughter who graduates from FSU and heads for med school. She is really focused on her grades and future. Her bf has already gotten his MBA in finance and is employed in his field. Yeah!